The post Makeup Hacks To Survive The Heat appeared first on HTV. Is the sun baking your face more often than you? Is your face greasier than Grease, the musical? If you answered yes, you’ve come to the right place! Our makeup is melting too and it’s starting to look like a slightly more glittery version of house of wax. Going makeup free is a secondary solution because I spent good money on a foundation, and it needs to be used. So here are a few makeup tips for rainy days (or lack thereof). Is your concealer or eye-shadow giving you an unwanted cakey look? 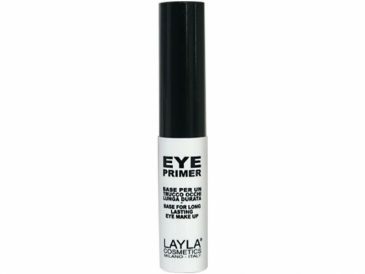 If so, invest in an eye primer and I guarantee you wouldn’t regret it. Buy one asap. 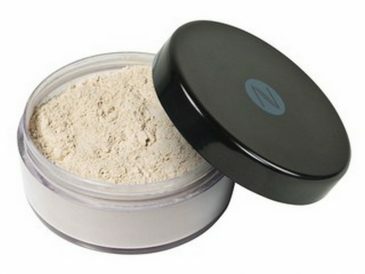 After you put on your regular primer, pat a very very thin layer of loose powder into place to create a matte layer to hold your makeup in place. Do your eyebrows like you normally do. 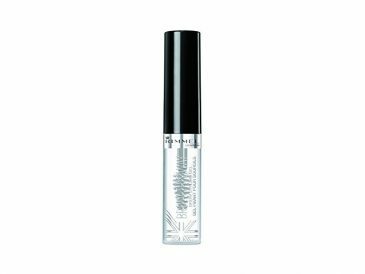 But to avoid the makeup from melting off, seal them up with some clear eyebrow gel. 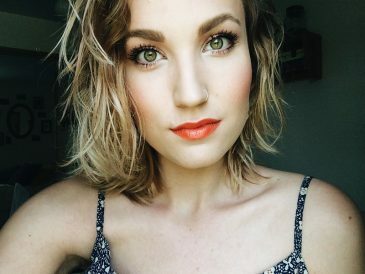 Because the heat is inevitable, it’s a good idea to go light on the makeup. A heavy face will only make things harder to handle. So, put a light layer of foundation, keep the eye makeup to a minimum and skip the highlighter completely. 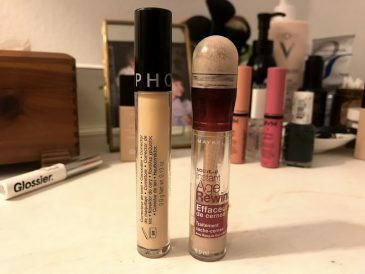 Related: 5 Drugstore Makeup Products That Really Work! That’s pretty much it. 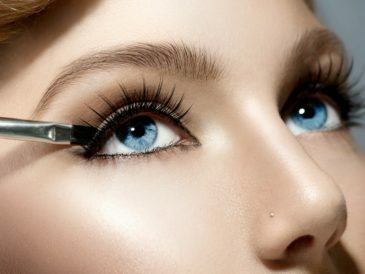 Even if your eyeliner is waterproof, brush some powder over it to make sure it stays matte instead of it accumulating onto your eyelid. When dark makeup starts to run or smudge, it’s a lot more noticeable and tacky looking. So, opt for a soft, mild look with warm summer colors. Again, you will sweat. So, it’s best to be prepared for that instead of hoping you won’t. Press the paper gently on the desired area for a bit longer than three seconds, and voila, you are good to go. 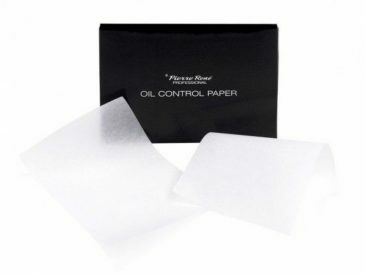 If you can’t find makeup blotting papers, coffee filters are a cheap alternative. The post FPW Outfits That We Are Willing to Pay For appeared first on HTV. 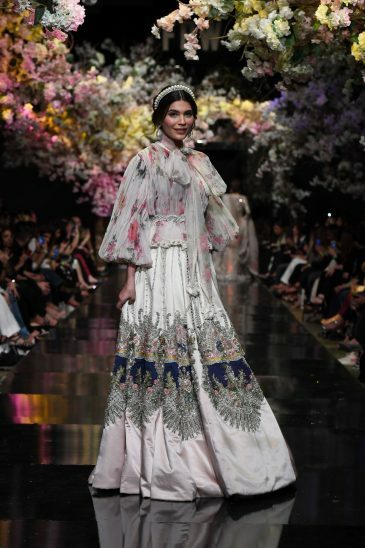 Fashion Pakistan Week 2019 Spring/Summer instalment showcased collections of a number of designers. From industry veterans to those who recently started showcasing their collections on the runway. 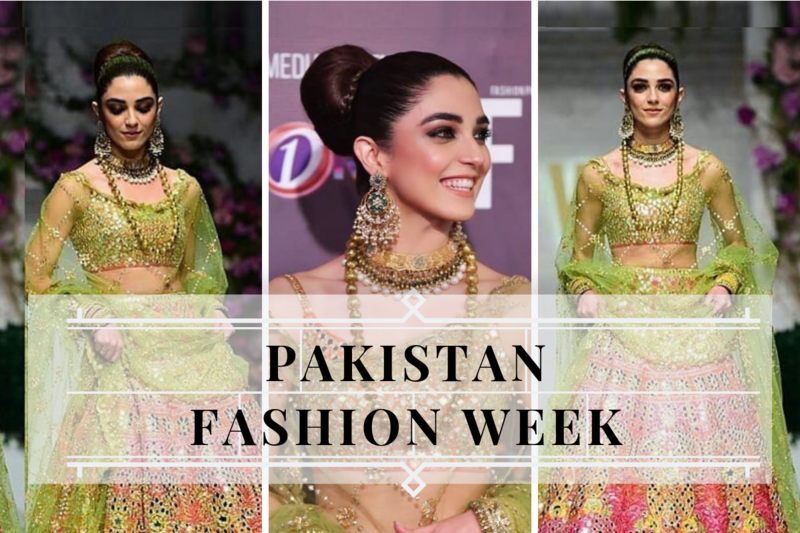 While fashion shows in the country are in vogue throughout the year, making it seem impossible to keep up with changing trends, FPW 2019 did give us some outfits we would like to have in our wardrobes. Here are a few ensembles that got us saying ‘YAAS’. 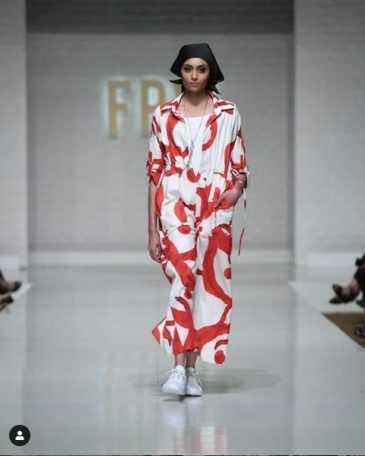 The three-day fashion week that began on March 12, started off with a solo collection by Sana Safinaz. With the entire showcase dedicated to the brand, there were many outfits that caught everyone’s attention. But it was this sartorial worn by Model Amna Babar that caught ours. The dramatic sleeves on a white floral empire waist blouse paired with white embellished skirt not only looked glamourous but also princess-y. The bow on the neck and that pearl headband only adds the much-needed oomph factor to the dress. On Day 2 a range of designers as well as retail brands showcased their collections. 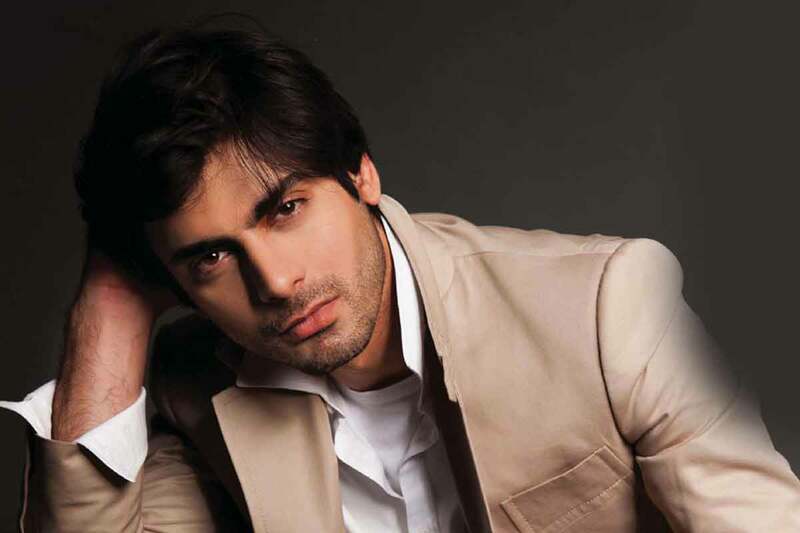 Some opting for semi-formals, others going with western outfits with a twist of desi-ness. 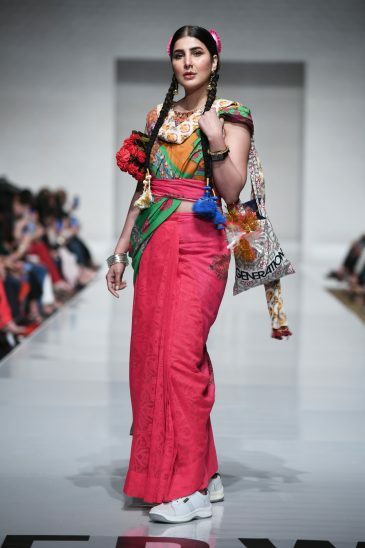 From Yasmin Zaman, Nauman Afreen and Ideas by Gul Ahmed to Obaid Shaikh, but it was Generation cotton saris and MAK by Al-Karam’s high-street looks that stood out for us. For some odd reason FPW Day 3 mainly showcased formal dresses, not the Spring/Summer Collection we are going to be wearing at work. 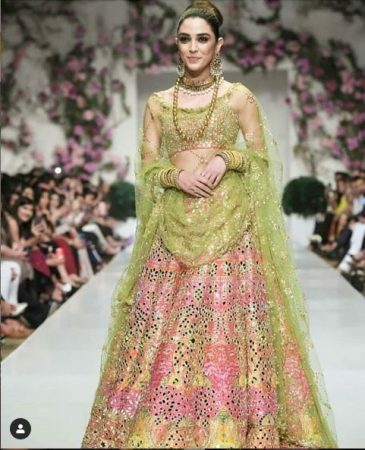 But if you are someone who is thinking of having a wedding in the next few months, then this Nomi Ansari’s colorful lehnga choli worn by Actor Maya Ali is your best bet. It breaks free from the usual solid hues we see at weddings, giving the attention the lady of the evening needs. 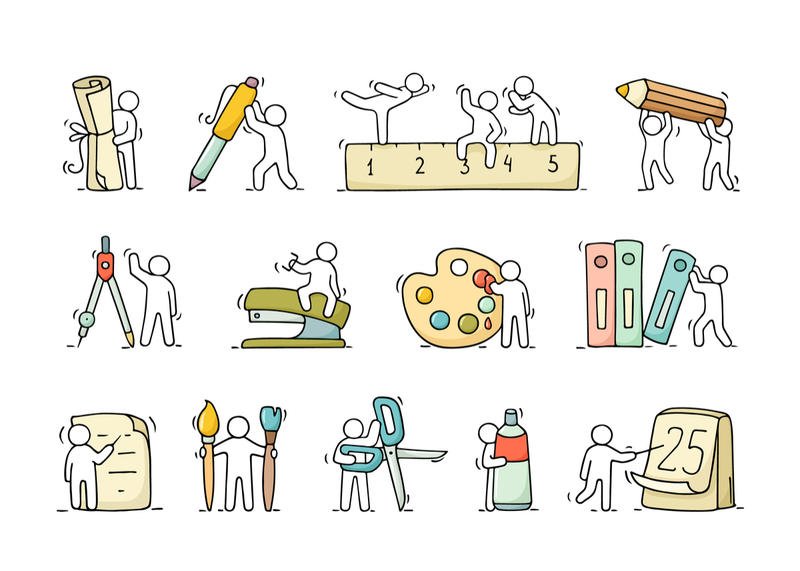 The post 10 Things People Who Love Stationery Can Relate To appeared first on HTV. For some people stationery is a fun thing to buy. But for some of us, it’s a whole new level of excitement. You feel that familiar excitement vibrating through you when you see a fresh, colorfully designed notebook. Your breath becomes heavy as you pick it up. And before you know it, you’re one your way home with the bag clutched tightly in your hand. How did you get here? You don’t know. It all happened so fast! Half your Facebook newsfeed is just ads from different websites that are tempting you with stationery. Ah, google has betrayed you. Because of this you have 4 fancy, and very unused notebooks. And at least 2 more are on the way. One of the main reasons you have a job is so you can support your habit. Because let’s face it. Your parents are more than done with you. You’re actually saving up for that scented candle on Etsy that’s supposed to smell like fresh pencils. It is not an impulse buy, you actually NEED it. You lose it a little when you see your nephew’s art supplies. It’s hard to keep your hands off those fresh oil pastels. Especially when you see someone else being rough and careless with them. You’d treat them right! Let’s face it, there’s only so much stationery you can afford. And AliExpress is here to save the day. It has an endless variety of animal shaped post-its and pencil cases. You. Must. Have. Them. All. Everyone is sick of your post-its. This one is actually quite offensive. You leave them your cute, priceless post-its and they have the audacity to be annoyed when they should feel lucky?! You’re that person with the overflowing stationery pouch that everyone turns to in order to borrow pencils, pens, erasers, white-os, and anything else under the sun. Everyone already knows about your obsession so your birthday isn’t a tough day when it comes to gifts. As long as everyone coordinates to ensure you don’t get the same thing twice. Actually… that wouldn’t be the worst thing in the world. Your new obsession is the wax seal trend going around. Your idea of a good Saturday night is heating up some glittery wax and savoring the satisfying feeling of the stamp pushing into the liquid wax gently, and coming out perfectly once it’s dry. The post Victoria Beckham Takes Skincare To A Whole New Level appeared first on HTV. The post 5 Habits of Highly Stylish Men appeared first on HTV. You find a variety of men on the style spectrum. Some are more with the program, while others are… less aware of how far a great sense of style can take you. You will notice, however, that stylish men often have a lot in common. They understand the rules of the game, and, whereas, they may differ in some of the finer aspects of their style, you will find that all of men of style subscribe to, and live by the same style habits. Let’s break this down. Stylish men wear clothes that fit. No man looks good in a baggy T-shirt or a boxy, ill-fitting suit. Working your clothes to complement your body type, and attenuating your weaknesses while simultaneously accentuating your physical strengths, is a science. Wearing clothes that fit isn’t synonymous to wearing clothes that are fitted. Wearing skin-tight shirts, even if your physique is something to be proud of, is still a huge no-no, because it simply doesn’t look elegant. It looks like you’re trying too hard to get attention. Wearing clothes that look that they were made for you, on the other hand, sends off all the right signals. Be wary about going over the top. Simplicity is the name of the game. It’s like the old Nokia ad – simply elegant and elegantly simple. Take T-shirts, for instance. You’ll never find well-dressed men like George Clooney or David Beckham wearing Ts with abstract slogans or too much going on. Nah, it’s always solid (well-fitting) crews or Vs in black, white or grey. The same goes for everything. For jeans, stick to a zero ‘bling’ policy. Excessive distressing takes away from the elegance of your outfit, too. They build their wardrobes around timeless classics and then inject that with their own personality. Stick the basics. You can never go wrong with tried and tested style essentials like black and white V-neck T-shirts, dark, well-fitting denim and tailored white dress-shirts. Make sure these fail-proof items are in your wardrobe, and then experiment a bit. It’s essential that you understand the rules of the game. Understand what looks good and what doesn’t, and then, once you’ve mastered the basics, you can up-grade your style and go for some nice personality quirks. For instance, make sure you have (and know how to wear) polo shirts in white, black and navy blue before branching off in to some experimental colors like hot pink and neon orange. Stylish men make a statement through the elegance and simple intelligence of their style, not through gang symbols on their jeans or provocative slogans. Your style should out a message – you have an eye for aesthetics, you’re anything but sloppy, and you mean business. Black leather shoes match black belt and brown shoes match brown belt. Once you internalize the rules of color coordination, you can bring it up a notch. Exceptionally oriented men can be seen matching their ties to their shoes, for instance. Stylish men are not afraid to overdress. They know the unspoken dress code of the event they’re going to, and they take it notch higher. Style is a lot about what you wear, but even it’s even more about how you wear it. Whatever you put on in the morning, wear it with confidence. Be comfortable in your clothing and wear it like you mean.